In legal proceedings involving the alleged infringement of a patent, it’s common for the respondent to go on the offensive and attempt to convince the Court that the said patent is invalid. If proven, it necessarily follows there can be no infringement. There is no one section of the Patents Act 1990 (Cth) (Patents Act) that specifically deals with invalidity. In effect invalidity is established by proving that the requirements of validity set out in section 18 of the Patents Act are not made out on the patent in question, or that there are other grounds (such as sections 40 and 138) which the patent does not comply with. What is the concept of invalidity? Invalid is the opposite of valid, and denotes a patent that does not conform to the requirements to be accepted as a patent. ‘Invalidity’ is the word used to describe proceedings that are commenced (often by way of cross-claim) seeking to have a patent revoked on the basis that it does not conform to the requirements for a patentable invention as required by the Patents Act, and therefore should never have been granted in the first place. In essence, if a patent is invalid, it will be held to never have been valid (similar to void ab initio – void from the beginning). What grounds are available for alleging invalidity? the claim or claims must be clear and succinct and supported by matter disclosed in the specification (section 40(3))(Fair Basis). There are of course other more technical grounds for revocation which may be assessed on a case by case basis. The above however are the generally accepted categories. What is Lack of Novelty? For a patent to be granted, the invention claimed must be “novel” in light of the information of the day (referred to as the prior art and the common general knowledge). Therefore, if it is that a patent, when viewed against the prior art and common general knowledge does not disclose an invention that is novel, it cannot be said to have the required characteristic of novelty. This has been embodied in sections 7 and 18 of the Patents Act. The test used to determine whether or not a patented invention lacks novelty is the ‘reverse infringement test’, and postulates that if a prior art item takes all the essential integers of the claimed invention, then the claimed invention cannot be novel (Meyers Taylor Pty Ltd v Vicarr Industries Ltd  HCA 19 at ). For a standard patent to be granted, the invention that is claimed must be inventive when compared to the information of the day. To be inventive, the invention claimed must contain an inventive step that would not have been obvious to the skilled person. This has been embodied in sections 7 and 18 of the Patents Act. The test used to determine whether or not a patent contains an inventive step is whether the invention would have been obvious to the skilled addressee in the light of the common general knowledge when considered together with the information brought in under section 7(3) (AstraZeneca AB v Apotex Pty Ltd; AstraZeneca AB v Watson Pharma Pty Ltd; AstraZeneca AB v Ascent Pharma Pty Ltd  HCA 30 at ). What is an Innovative Step? For an innovation patent to be granted, the invention claimed must disclose an innovative step when compared to the information of the day. To be innovative, the invention claimed must differentiate itself from the information of the day in a way that makes a substantial contribution to the working of the invention (although note that the test is the negative of this statement, per section 7(4)). It has to be noted (for example, Product Management Group Pty Ltd v Blue Gentian LLC  FCAFC 179 at ) that innovative step is a different and lower threshold requirement than the inventive step. The test used to determine innovative step is to compare the invention as claimed with the prior art to identify the differences and determine whether the differences make a substantial contribution to the working of the invention (Multisteps Pty Ltd v Source & Sell Pty Ltd  FCA 743, at ). by following the teaching of the specification, does the invention, as claimed in the patent, attain the result promised for it by the patentee? If the inventor had already reaped commercial benefit from a de facto monopoly in his discovery owing to his concealment from all other traders of the way in which the new substance could be made, he was not to be permitted to prolong his monopoly for an additional 14 years (being the time period for the relevant patent). What is a Manner of Manufacture? A patent can only be obtained in relation to an invention which is a method of manufacture within the meaning of section 6 of the Statute of Monolopies. While what is a method of manufacture is a continually developing concept (as technology develops), it is generally accepted that it includes any “thing” made, any means or process for making something or any other process producing an effect useful to the public (Northern Territory v Collins  HCA 49 at ). What is Fraud, False Suggestion or Misrepresentation? A patent may be revoked if a material inducing factor to its granting (or the granting of an amendment) was based on a fraud, false statement or misrepresentation. This can take the form of a number of acts, including intentionally misleading statements, calculated omissions, or accidental statements which are untrue. Relevant circumstances include the conduct of the patentee in dealings with the Patent Office and the claims made in the patent as to what it can achieve. The test is whether or not the fraud, false suggestion or misrepresentation materially contributed to the Commissioner’s decision to grant the patent (Prestige Group (Australia) Pty Ltd v Dart Industries Inc (1990) 26 FCR 197). What is the Sufficiency ground for revocation? A patent may be revoked if it does not sufficiently instruct a skilled person to achieve the invention claimed in the patent. The test is whether or not the specification enables a skilled address to produce something within each claim without new inventions or additions or prolonged study of matters presenting initial difficulty (Kimberly-Clark Australia Pty Ltd v Arico Trading International Pty Ltd  HCA 8). What is Fair Basis ground for revocation? …the question is whether there is a real and reasonably clear disclosure in the body of the specification of what is then claimed, so that the alleged invention as claimed is broadly, that is to say in a general sense, described in the body of the specification. What is Best Method ground for revocation? A patent grants a right of monopoly to exploit an invention on the basis that after the term of the patent, others can use the teachings of the patent themselves. A patent is required to specify the best method known of performing the claimed invention to ensure good faith on the part of the patentee. The “best method” of performing an invention is the best example of the invention known to the applicant at the relevant time, where “best” means what is best in practice and not in theory (C Van Der Lely NV v Ruston’s Engineering Co Ltd  RPC 45 at ). It’s usual for us to encounter in a patent revocation matter a general concern that ‘this has been done before’ or ‘the patent doesn’t work’. These are indicia of factors to be taken into account when considering the various grounds of invalidity. Many of the grounds for revocation involve complex analysis at a legal and technical level (within the field of the invention described in the patent). Ultimately, it will be the Court that decides whether or not a patent is liable to be revoked with the assistance of evidence adduced by the parties. If you believe that are grounds for a patent to be revoked, you should seek legal advice about how to achieve your goal as the evidential requirements can be onerous. 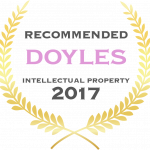 If you need assistance with patent litigation and in particular revocation, please telephone me for an obligation free and confidential discussion.